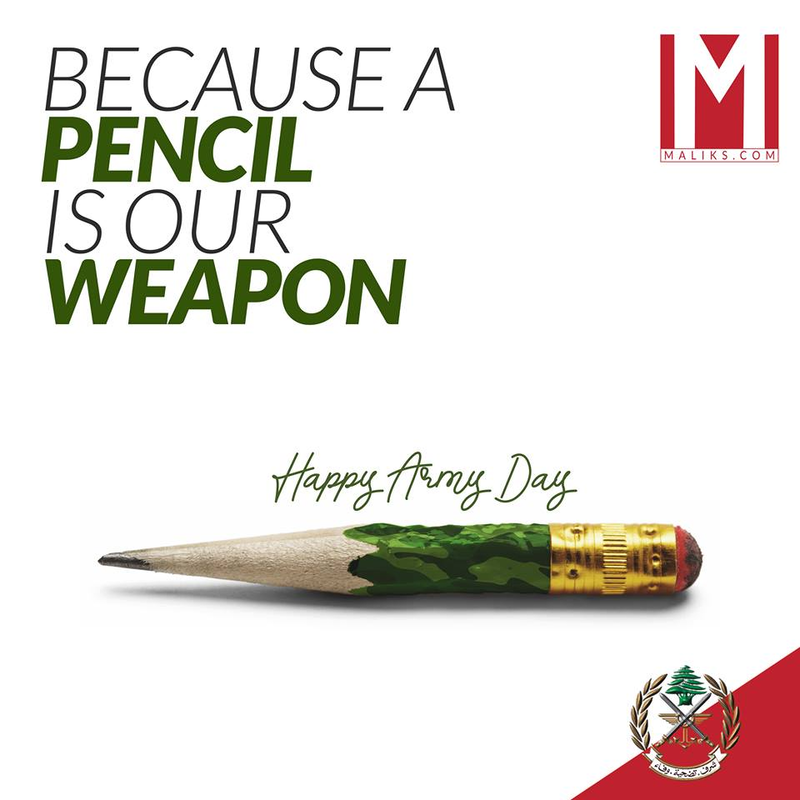 So what does a stationary, university supplies and all-around print shop do for Army Day in Lebanon? Well, watch and learn from Malik's. 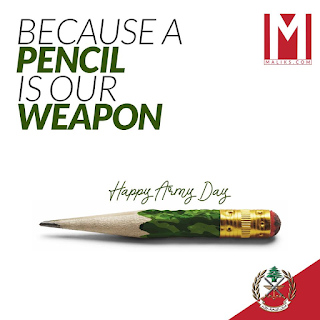 "Because a pencil is our weapon" - there, neat, concise, smart and well done. Once more, all those trying to get to the end of the earth for "creative" ideas, sometimes the answer is staring you right at hand - pardon the pun!